Our unique “Gym School” Program incorporates all the elements of nursery school combined with our comprehensive, well-planned, non-competitive gymnastics and sports program. No other sport in the world offers the physical and mental challenges of gymnastics…the best foundational sport that requires strength, agility, and flexibility….and the ultimate of mind over body. When guided properly during the early childhood years, children develop their optimum fundamental movement skills and body awareness. These concepts are presented so children learn how their bodies move and why. We simply break every activity down into small progressions. Each skill becomes a magical stairway of small successes leading to each major goal. Exploration, guided discovery and positive reinforcement are some key teaching techniques incorporated into our program. Our school curriculum is planned around weekly themes, our first being “All About Me” where we identify each child’s uniqueness by recognizing his or her own talents. 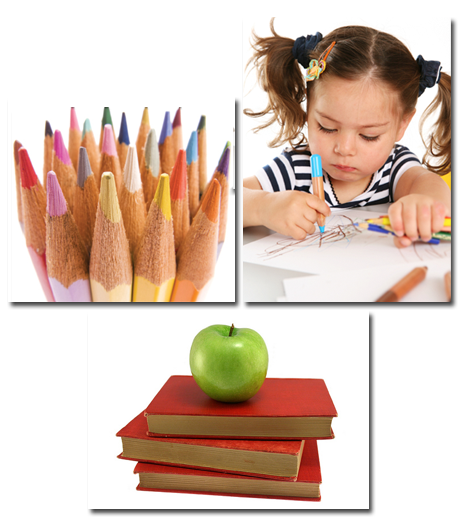 Curriculum concepts consist of letters, numbers, shapes, calendar, weather, math, geography, art, and music. A language rich environment provides for reading, writing and literacy skills. Physical education and computer skills are also incorporated into our program. All of these concepts and activities are woven together to enhance and teach each of the weekly themes. All meet N.Y.S. Education Standards. For the child ready to separate- we help develop your child's social skills through playing, sharing, and listening. Integrating our age appropriate gym program makes this class lots of fun. Students must be three years old by December 1st of the current school year. Three year olds need lots of socialization and independent skills development. These skills are taught along with an educational curriculum featuring units of study. Students must be four-years-old by December 1st of the current school year. The goal of our Pre-K Program is to prepare your child for Kindergarten and beyond. The theme-based curriculum provides a wide range of hands-on materials and activities. Within those themes we integrate content areas such as math, arts, science, literacy and social skills. Our curriculum closely follows the N.Y.S. Education Standards, Handwriting without Tears and Phonics. A program designed for children who are born in December, January and February or developmentally need to repeat Pre-K. Program availability is reviewed each year and subject to ongoing community request. Please contact a location nearest you for availability and hours.